Just pickin! Who needs old-fashioned full sized utensils? Not us! 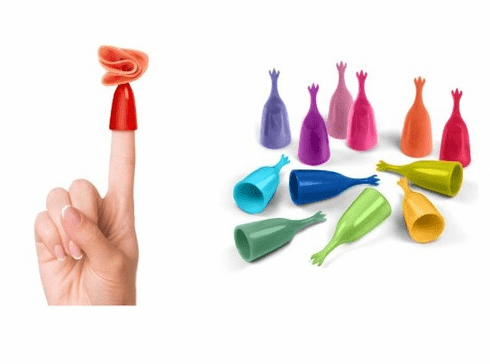 Just slip on one of theses finger picks and you're ready to hit the hors d'oeuvres! Even with a plate in one hand and glass in the other, you're good to go! Just remember... when the party's on it's better to be a multi-tasker than a juggler! The perfect party picks for your celebration! Food safe. Hand wash only. 12 per set. Plastic.